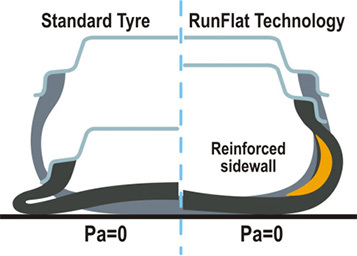 A run-flat tire is a pneumatic vehicle tire that is designed to resist the effects of deflation when punctured, and to enable the vehicle to continue to be driven at reduced speeds (under 50 mph (80 km/h)), and for limited distances (up to 25 mi (40 km), depending on the type of tire). ZRT have been developed based on the specifications of the vehicles on which they are mounted. Accordingly, ZRT may only be mounted on vehicles specifically manufactured to accommodate ZRT. 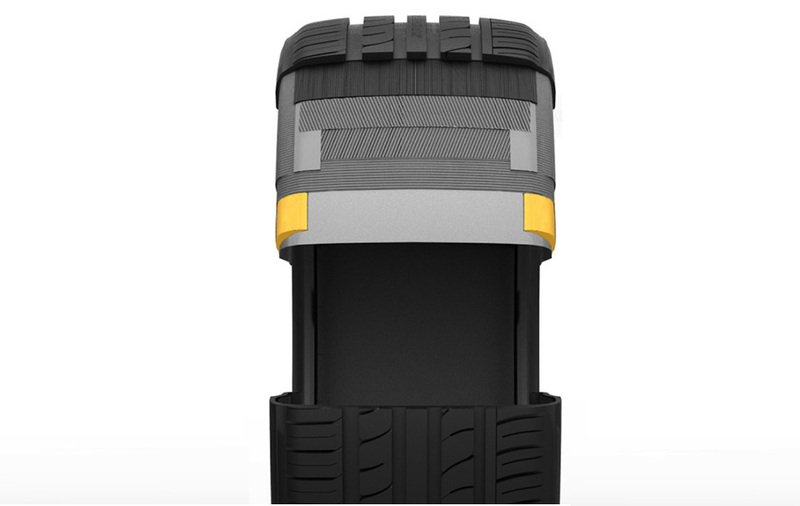 ZRT must be mounted in conjunction with a functional Tire Pressure Monitoring System (TPMS). The mounting of tires and installation of the TPMS should be carried out by a specialized dealer. ZRT certifies that after pressure loss, ZRT can continue to run for 80km (50 miles) at a maximum speed of 80km/h (50 mph). Always refer to the vehicle owner's manual for specific safety and operating information relating to the vehicle.